Tired of buying strategy games and feeling robbed? 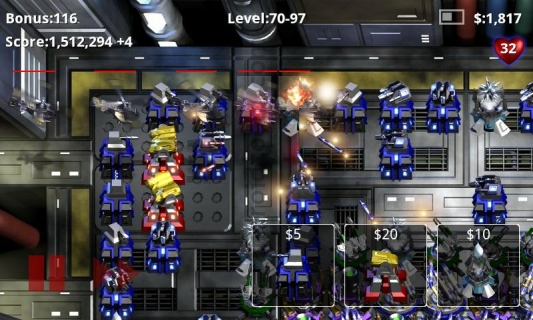 Robo Defense is a Tower defense game which may not have the absolute best graphics, but it sure lets you try one level with 11 various difficulties before you decide if you want to go to the full version or not. 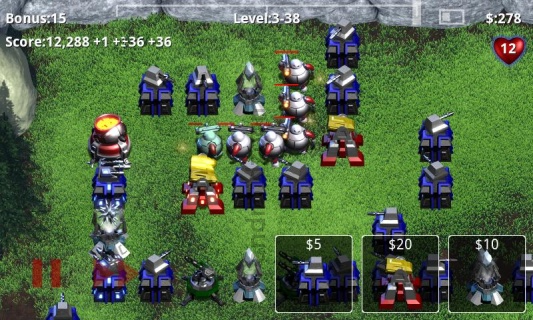 The game includes open maps, in which you can use various strategies to protect your tower. Unlike other games, you can actually import your data from the free version into the full version once you decide to buy the game, saving you time and effort if you did a great job. 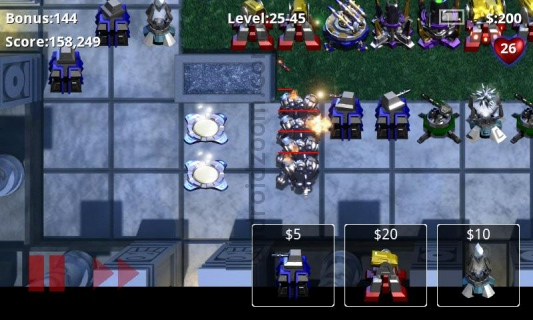 Purchase your robots and defend your base against various enemies because you get your money for new robots and more defense. You can upgrade your robots as well, increasing your chances of delivering more damage while protecting your defense. If you want to see much more of this game, you should look for gameplay videos on any website. Even with these graphics, the game still has a solid 4.6 out of 5 stars with more than one hundred and twenty two thousand ratings. Users do say that they feel like the free version needs more levels to play but this is up to the developers. It appears that some phones have had issues with the graphics in the past, but you can now see on the application’s notes that some phones need to manipulate their graphic options and the steps that need to be taken for other Android users if they want the game to run smoothly. In the new updates, it seems like another level has been included in the free version, allowing a better feel of the game before you spend $2.99 on the full version. There is also a new unlockable tower as well as bug fixes. This game seems to receive upgrades monthly, which justifies why people have to pay $2.99 for the application. The download is the most painful part of the game, since it has eleven difficulties on each level. Apart from that, you should have no trouble with this game if you stay tuned for new upgrades and performance fixes on certain phones. Download Link : Download Robo Defence Free. Zombies and Guns- Shoot those Knuckleheads Down !